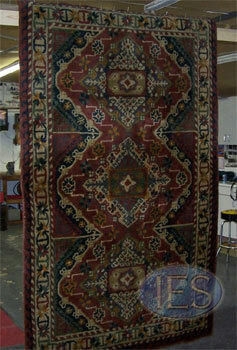 Oriental Rug Cleaning Dunkirk MD Southern Maryland. 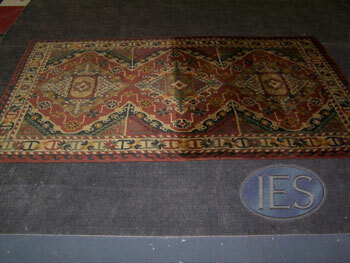 Indoor Environmental Services of Dunkirk offers oriental rug cleaning and area rug cleaning services to Southern Maryland. 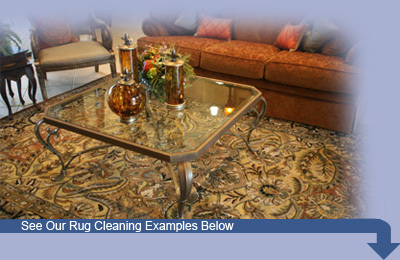 We are an IICRC certified firm with years experience in the cleaning industry. 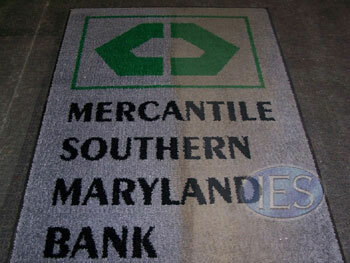 Our thorough yet gentle cleaning process will assure that your fine rug will be as clean as possible when cleaning is complete. 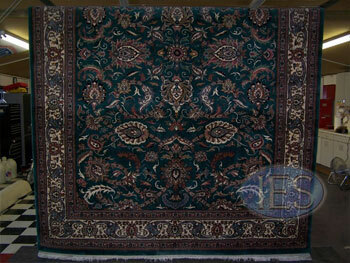 We offer pick up and delivery of your rug. 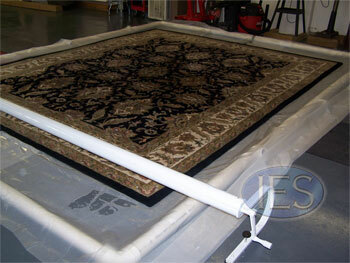 We will also do a pre inspection when picking up, as well as a post inspection with you when we drop it off. 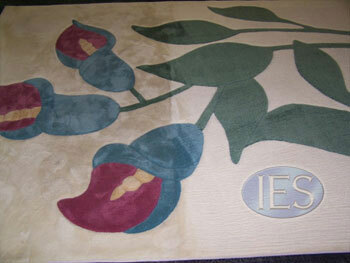 In some cases we can perform ‘in home’ rug cleaning. 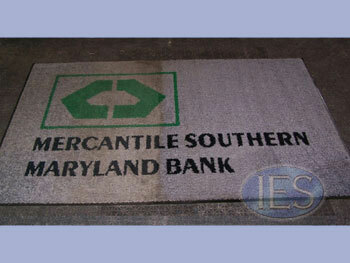 Oriental Rug 1/2 soiled, 1/2 cleaned – Calvert County Dunkirk Maryland Commercial Mat half way through cleaning process.